Just because it is adapted mostly from the animated Cinderella released by Disney in 1950, does not mean that the cast and crew behind this film treated this project as a mere strip-mining of the company’s own legacy to turn a quick profit. Led by director Kenneth Branagh, this Cinderella is lively, colorful, and full of spirit. This version expands on some key points of (Cinder)Ella’s life, spending a lot of time on her idyllic childhood. Growing up with two doting parents on a Renaissance-era country estate filled with friendly animals (including Gus Gus! ), Cinderella’s mother (Hayley Atwell) teaches her to “have courage and be kind,” an ethos reminiscent of Spider-Man in how it informs both Ella’s choices as well as the themes of the film itself. After her mother passes away, her father remarries, this time to the survival-driven Lady Tremaine (Cate Blanchett), a callous woman who has never forgiven the world for her own misfortunes. She brings her two daughters, Anastasia and Drizella (Holliday Graniger and Sophie McShera), who are as status-obsessed and obnoxious as can be. On the night of the big ball to find the Prince (Richard Madden) a Princess, Cinderella’s fairy godmother (Helena Bonham Carter) comes to her aid, and well, you know the rest. All of these will be familiar elements to everyone who has seen the original Disney animated effort, but the familiarity doesn’t really take away from the visual lushness Branagh brings to the screen. The colors of the costumes and fantasized countryside help to sell this as an amplified, storybook reality. The entire film is filled with elegance, and reinforces the classic feel. The biggest change actually gives Cinderella a bit more of the driving action of the film. Rather than have her animal friends urge her on, Ella makes many of the decisions that shape her destiny. Without changing the shape of the fairytale, her “have courage and be kind” mantra truly shapes all of her actions while not hindering her self-actualization. In this film, while running away from home, Cinderella meets the Prince, but neither wants to reveal their name. While it still treads too close to the “love at first sight” trope lovingly parodied by the best song in Disney’s own Frozen, it still provides the basis for a friendship that has roots deeper than magical dresses and pumpkin coaches. 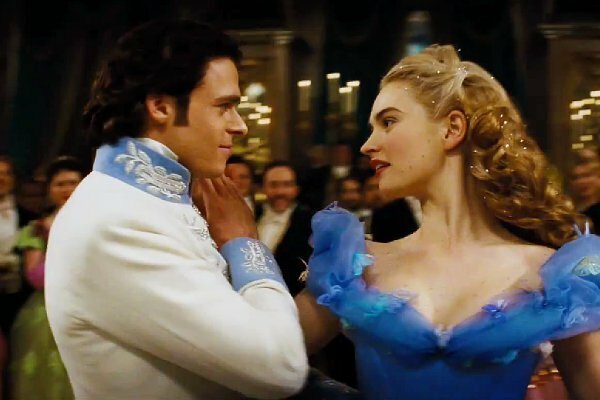 The film nails the parallels between the characters of Cinderella, Lady Tremaine, and to a lesser extent, the Prince. All three have suffered loss, and must make choices without a safety net. Blanchett in particular, plays Tremaine more as a calculating woman trying to survive in the world. 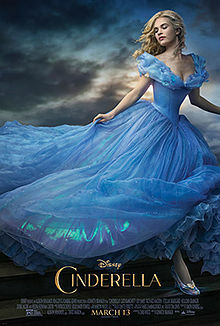 The emphasis on theme is appropriately obvious for a fairytale, again enhancing but not overwhelming the actual story. Cinderella easily could have been a cash-in, but instead is a masterclass in simple pleasures. Cinderella opens in theaters today.